The Mw 7.8 Kaikōura, North Canterbury, New Zealand earthquake, which occurred on 14 November 2016 (local time), was one of the most complex continental earthquakes ever documented and among the largest instrumentally recorded events in New Zealand history. The epicenter was located at the southern termination of the Hikurangi margin, where the subducting Pacific Plate transfers into the dextral Alpine transform fault. In this work, we precisely estimate three-dimensional coseismic and postseismic displacements caused by this event from continuous global navigation satellite systems (GNSS) stations in New Zealand. The Kaikōura earthquake activated significant and diverse coseismic and postseismic deformation on a large spatial scale, located mainly in the southern part of the North Island and the northern part of the South Island. Station CMBL had the largest coseismic offsets and the most remarkable postseismic displacements. The accumulated postseismic displacements at this station reached 13, 7 and 29% of the coseismic values on the east, north and vertical components, respectively, in the first 1.5 years after the mainshock. 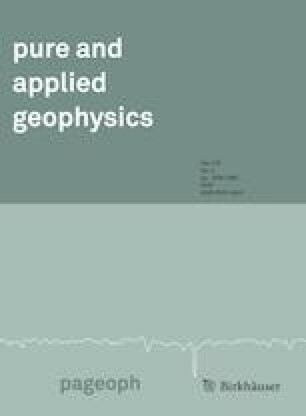 Integrating our estimated coseismic displacements with previously published coseismic displacements, we inverted for the spatial distribution of coseismic slip and spatiotemporal evolution of postseismic slip. Our optimal coseismic model suggests that rupture occurred both on shallow crustal faults, and to some extent at the southern Hikurangi subduction interface. The GPS-inverted coseismic moment release is equivalent to an Mw 7.9 event. The postseismic slip was not only significantly extended at the subduction interface, but also appeared on the Needles fault. The cumulative moment magnitude is Mw 7.35 in the first 1.5 years after the event, and Mw 7.35, Mw 6.95 and Mw 6.80 during the periods 0.0–0.5, 0.5–1.0 and 1.0–1.5 years, respectively, indicating rapid decay of the postseismic deformation. Comparing the spatial distribution of the postseismic to the coseismic slip, although their direction is similar, the discrepancy between their location is significant: the slip located along the shallow crustal faults activated the coseismic deformation, while the slip located on the deep subduction interface controlled the postseismic deformation. The raw cGPS data were downloaded from New Zealand’s GeoNet and PositioNZ network. This work was financially supported by the National Natural Science Foundation of China (grant nos. 41604007 and 41874024), the Special Fund of China Experiment Site (grant no. 2018CSES0207), International Science & Technology Cooperation Program of China (grant no. 2015DFR21100) and the Basic Research Project of the Institute of Earthquake Forecasting, China Earthquake Administration (grant nos. 2016IES010203 and 2018IEF010102 and 2017IES0401). Some figures were prepared using the GMT graphics package (Wessel and Smith 1991). Hamling, I. J., Hreinsdottior, S., Clark, K., Elliott, J., Liang, C., Fielding, E., Litchfield, N., Villamor, P., Wallace, L., Wright, T. J., D’Anastasio, EBannister, S., Burbidge. D., Denys, P., Gentle, P., Howarth, J., Mueller, C., Palmer, N., Pearson, C., Power, W., Barnes, P., Barrell, D.J.A. Dissen, R. V., Langridge, R., Little, T., Nicol, A., Pettinga, J., Rowland, J., & Stirling, M. (2017). Complex multifault rupture during the 2016 M w 7.8 Kaikōura earthquake, New Zealand. Science, https://doi.org/10.1126/science.aam7194.